This next recipe I will be making to share with family and friends on boxing day - my idea is secretly vegan food - I used shop bought puff pastry, red onion and 2 Violife cheeses to make these rolls and you really can't tell they're vegan! 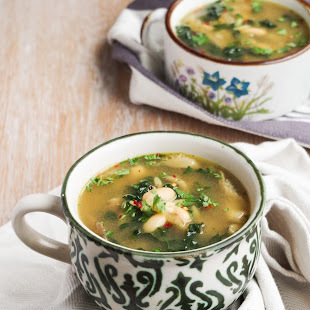 This is one of those recipes to convince others of a cruelty free lifestyle, not one to promote the health benefits, balance is key in life and you should never feel bad for treating yourself to some slightly less healthy food, provided you eat well most of the time! 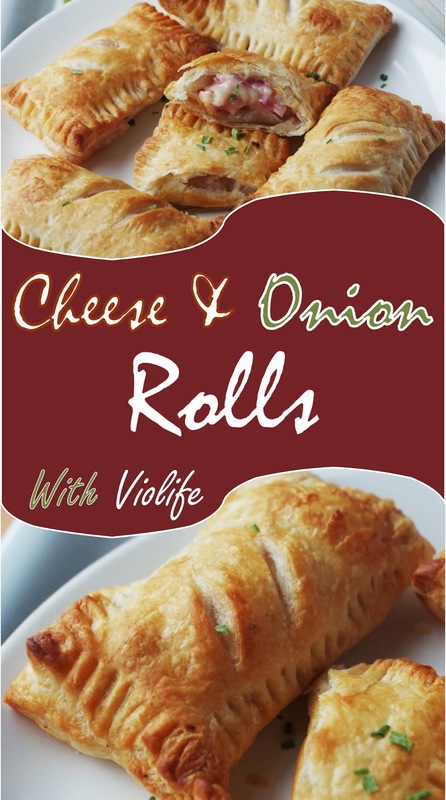 I combined the original violife creamy with mozzarella style, red onion, mustard, garlic powder and black pepper, for a wonderful filling to the crisp puff pastry. You could use any flavours of violife you wish for this recipe, the tomato and basil slices would also work wonderfully! These rolls can be enjoyed hot or cold, they are really delicious either way. 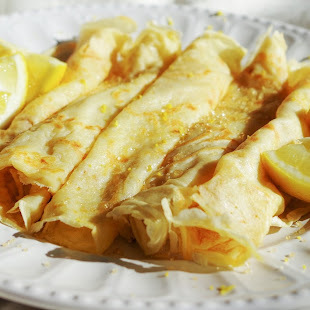 I feel that if you're going to convince people of a vegan lifestyle, or even get them to accept that vegan food isn't as awful as they may have thought, you have to stick with veganising familiar food so that they aren't put off before trying it, and this recipe is a great way to do that! Finely chop a red onion and add to the mixing bowl, cut the slices of violife into small pieces and also add to the bowl, along with the violife creamy, mustard, garlic and black pepper, mix well. Lightly dust a clean work surface and rolling pin with flour and roll out the puff pastry until it's square shaped and around 1/2 cm thick. Cut the pastry into equal thirds with the pizza cutter so you have three long strips of pastry. Cut each strip into 4 pieces so you have 12 pieces of puff pastry. Then on each piece, place a tsp of mixture and fold it over, seal the edges by pressing it down and then go round the edge with a fork - make sure it's properly sealed or the mixture will come out when cooking. Score the top of the roll twice with a knife and place on the baking tray, repeat the process with the other pieces of pastry. Then brush the pastry lightly with non-dairy milk and bake in the oven for 10-15 minutes until puffed up and golden brown. Serve hot or cold with the rest of your party food and enjoy!